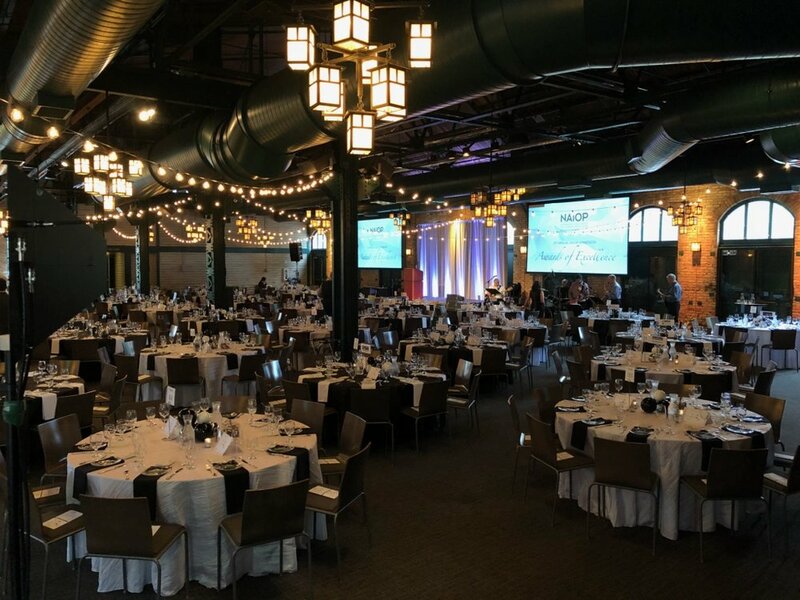 AV for You provided Audio, Video, Lighting and Staging rental equipment for NAIOP’s (Commercial Real Estate Development Association) 35th Annual Awards of Excellence where the industry’s best gathered to honor the year’s top projects in Minnesota. The event was held at the Nicollet Island Pavilion. For audio rental equipment we provided dB Technologies DVA Line Array Speakers, QSC K10 Powered Speakers (both the the tent and main room), JBL VRX Subwoofers, Shure wired handheld microphones on mic stands. For lighting and staging rental equipment we set up American DJ Flat Par lights for stage wash and set up three panels of pipe and drape using our Rosebrand Grey Drape. At the tech table we used our Behringer X32 Mixer, Behringer SD16 Digital Snake and Shure QLX Distro Microphone Rack for clear dependable audio. For video rental equipment we utilized our Analog Way Pulse2 Video Switcher for simple switching between powerpoint and video rolls. We used Decimator HDMI/SDI Cross Converters to distribute video to the projector.